Avatar Creations Ltd. announced today that their new Sci-Fi MMORPG Perpetuum Online will be launched at November, 25th, with early access subscriptions available prior to that point. Also, open beta starts in a few days to be finished at 16th of November. 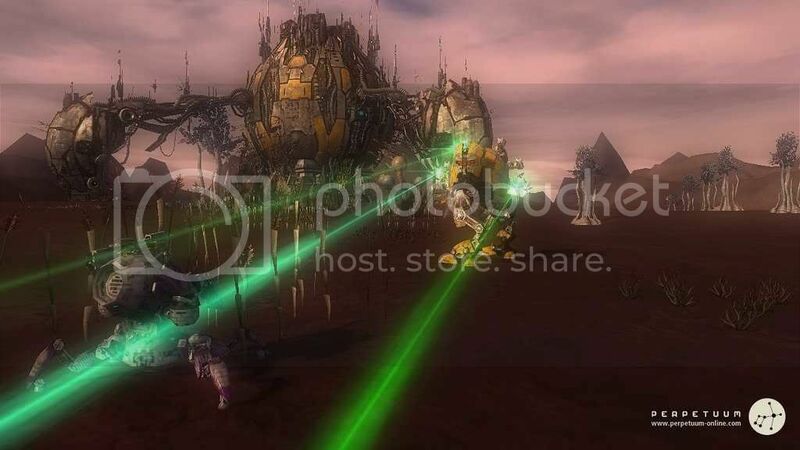 Perpetuum Online was in development for five years and in beta testing for eighteen months. The game world is based in an alien planet called Nia, the planet is being explored by players from Earth with huge remotely-controlled robots. Would this MMORPG be anything like Eve Online? It’s said to be running on an unsharded world, just like Eve does, and the interface screenshots show that Perpetuum’s GUI looks a lot like Eve’s. - Completely open, persistent, sandbox game world on a single-server. All the players in Perpetuum play in the same unsharded world, and the actions of players have permanent consequences which can only be changed by other players or the natural physics of the game world. - Highly scalable combat. Fights in Perpetuum can range from one on one to whole armies battling it out, and thousands of items and versatility of the game world guarantee no two fights will be alike. - Complex crafting system. Perpetuum features an advanced item crafting system ranging from mining raw materials and gaining knowledge to the mass production of items. Players will be able to reverse engineer technology found in the wild and even build special prototype items with the knowledge they amass over time. - Player driven market. All game systems in Perpetuum have been built to rely on each other, thereby creating constant supply and demand between the players of different specializations and encouraging dynamic trade between players. - Time based character progression. Experience in Perpetuum is gained over time on each active account, even when the player isn’t logged in the game. Extension points gained this way can be used to immediately purchase skills on any character on the account. - A living world. The environment on Nia is one that is constantly changing. Plant life grows unchecked while forests of alien vegetation are made into barren wastelands by large battles. Minerals in the ground require regular scans to find, and eventually players will even deform the face of the planet itself as they start construction on their own settlements.